Heart Shaped Sweat: My favorite Photo Editing Apps: with a pic of our new home! Hello FRIDAY!!! Today, I'm showing my top photo editing apps! I love taking pictures, I love editing pictures, and I love having pictures fill the walls and shelves of my home. A lot of the pictures you see on the blog are taken with my iPhone. It's become really, really easy to have quality pics from your phone and with these apps, you can tweak and perfect just about any picture and add some flare and personality too! 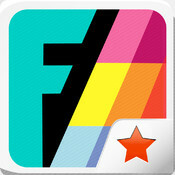 If you don't have this app, stop right now and download it. I mean it! I love, love this app. I depend on it for editing almost every picture. Camera+ can brighten dark pictures, darken over exposed pictures and has over 36 filters to continue the tweaking. This is the basic photo editing app everyone should have and be using. 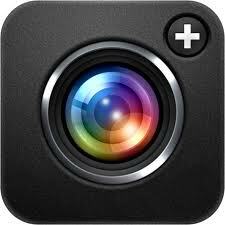 You can take photo's with this app or upload from your iPhone library. As it claims... it is collage made awesome. I used it above to show the different filters of Camera+. I flip over this app. It offers 60+ collage options and you can even cut your own. How cool! If you like collages, you should absolutely download this app. Really, the app does more than collages, it also has photo editing and text or labels too! 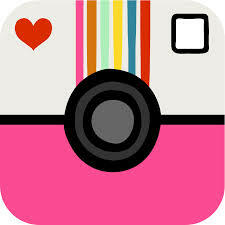 You can take photo's within this app or upload them! You crazy if you didn't think I would list this app! It's super fun and it gets the creative juices flowing. This app has tons of free and paid fonts, doodles, and sayings it's hard to just use one! You can be as outrageous as you want with your overlays and designs or stay on the plain side like me! And, it's recent update now lets you undo your work, something I desperately needed. My all time favorite app. This gem is like a black hole for my existence. I can literally burn hours playing with all the bells and whistles this app offers. If you love Beautiful Mess, you will die for all that Rhonna Designs can do. I don't even have time to list all that's available within this app. Just download it. And have fun!!! OH, and "masking" you can do that with this app! I used it for yesterdays post and love playing with that effect! All of these pictures are from our time at the beach this past week... one other picture we got this week came from Lucas's sponsor. She was willing to do a drive by of our new home in Colorado and sent us this picture!! Now the daydreaming is really getting more real!!! What are your favorite photo editing apps?? Are these just for Iphone? Omg I can't wait to try these out!!! I love posts about apps! Always lookin for good ones!! These are the days I wish I had an iphone! I just use IG and Photogrid. Boo....loving your new house! YAY! I haven't heard of some of those, I'll have to check them out! The Rhonna Designs one looks awesome! 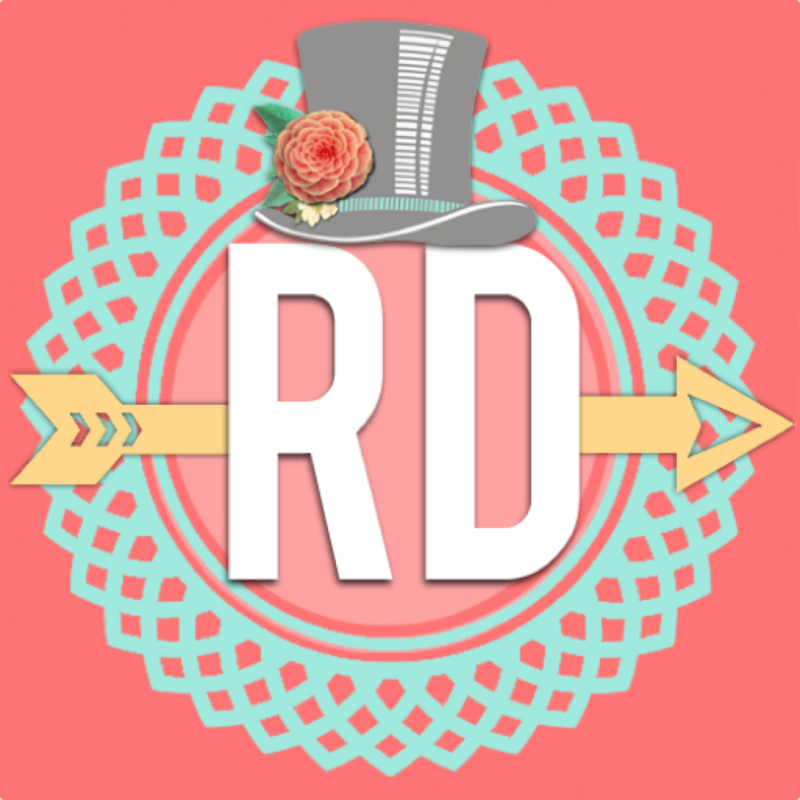 Oooo new apps - the Rhonna Designs looks super cool! These are awesome! I just wish some of these were on Android! I've been waiting for A Beautiful Mess forever. Thank you so much for sharing these, I have been looking for good picture editing apps! Oh my goodness! Thank you for sharing these awesome editing apps!! I am definitely going to have download a couple that I didn't have! And your home?? Beautiful!! Congrats, lady!! I've seen Camera + before, but I hadn't heard of the other ones! 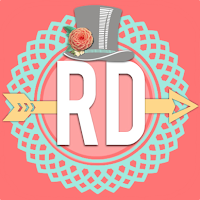 I definitely want to try Rhonna Designs! I love to use Snapseed and Afterlight! I'm totally bummed that these aren't offered on android! They look super great! Love these apps. I don't use any but will change that after reading this post! I'm not sure if I should get the Beautiful Mess app or Rhonna Designs??? Decisions, decisions! These apps look like a lot of fun. I will sure to check them out. New follower on bloglovin. Looks great, will definitely love to check out soon. You looks stunning in casual top. I don't have any of these! I need to download them! Can I just say that I squealed when I saw your new house? I'm so excited!! This makes me wish I had a personal iPhone! I have a work one, but my personal phone is an Android. I love it but posts like this make me wish I had an iPhone 5! Hello, thanks for your list of editor. I think they all cool. Maybe I will download some of them to check. I want add another one that will good if you work on MAC, here it is: https://macphun.com/. شركة اصلاح مكيفات بالرياض صيانة مكيفات بجدة شركة تركيب مكيفات تركيب مكيفات بالرياض تركيب مكيفات بالرياض شركة تركيب مكيفات اصلاح مكيفات بالرياض تتميز شركتنا بتوفير قطع الغيار اللازمة للمكيفات التي بها اعطال وتقوم برتكيبها ايضا مع الضمان علي التركيب وشحن فريون للمكيفات افضل انواع العفريون صديق البيئة والموفر في الكهرباء المفروف في الاسواء السعودية رقم 134a المطلوب وبكرة في شحن المكيفات الاسبلت والمكيفات الشباك لدينا كل ما تحتاجة عزيزي العميل في صيانة واصلاح وشحن المكيفات مع تغيير القطع التالفة منها بأخري من الوكالة شركة صيانة مكيفات بجدة لديها المذيد. افضل شركة متخصصة في صيانة المكيفات وتنظيفها بالرياض وجدة لدينا افضل امعدات والماكينات المتخصصة في تنظيف المكيفات في أماكنها يمكنكم الاعتماد عليا في ذلك شركة صيانة مكيفات بالرياض لديها الحل لاصلاح كافة الاعطال التي يمكن أن تظهر في المكيفات فجأة وبدون اسباب شركة اصلاح مكيفات بجدة لديها فنيين علي اعلي مستوي من الخبرة والكفأة في اصلاح وصيانة المكيفات الاسبلت والمكيفات الشباك شركة اصلاح المكيفات بالرياض هي الشركة الوحيدة التي يمكنكم الاعتماد عليها . >تتميز شركتنا بتوفير قطع الغيار اللازمة للمكيفات التي بها اعطال وتقوم برتكيبها ايضا مع الضمان علي التركيب وشحن فريون للمكيفات افضل انواع العفريون صديق البيئة والموفر في الكهرباء المفروف في الاسواء السعودية رقم 134a المطلوب وبكرة في شحن المكيفات الاسبلت والمكيفات الشباك لدينا كل ما تحتاجة عزيزي العميل في صيانة واصلاح وشحن المكيفات مع تغيير القطع التالفة منها بأخري من الوكالة شركة صيانة مكيفات بجدة لديها المذيد. شركة صيانة مكيفات بجدة في فصل الصيف نحتاج في بعض الأحيان الي تبريد وتلطيف الجو سواء في المنازل أو اماكن العمل باستخدام أجهزة تكييف فلذلك تعد من أحد الأسباب الرئيسية لارتفاع قيمة فاتورة الكهرباء يوجد أنواع متعددة وقدرات مختلفة لاجهزة التكييف لذا يلزم معرفة أنواعها ومكوناتها وصيانتها وكيفية استخدامها الاستخدام الامثل من اجل تحقيق الوفر في قيمة فاتورة الكهرباء والحفاظ علي عمر المكيف بدون اعطال ولا نفقاط اضافية. شركة اصلاح وصيانة مكيفات الهواد بجدة لديها افضل الحلول لاصلاح وصيانة كافة انواع المكيفات الهوائية من مكيفات اسبلت مكيفات شباك مكيفات مركوية بكافة انواعها كثيرا ما يحدث عطل مفاجأ في المكيف المتواجد بمنازلنا ولا تدري ما هو العطل وهل يتم أصلاحة علي الفور ام لابد من فك المكيف نحن في شركة التقوي لصيانة المكيفات نقوم بارسال احد الفنيين المتخصصين في اصلاح وصيانة المكيفات للمنازل لمعاينة الاعطال الفاجاة التي طرات علي المكييف وعمل اللأزم لاصلاحة علي الفور. شركة التقوى لصيانة المكيفات بجدة ستقوم بسرد الارشادات العامة لمستخدمي التكييف للحفاظ علي التكييف واطالة عمرر الجهاز وعدم استهلاك كمات كبيرة من الكهرباء. في بعض ايام الصيف المروحة تكفي لتلطيف درجة حرارة المكان. إغلق جهاز التكييف قبل مغادرة الغرفة. راعي استخدام سعة التكييف المناسب للمكان المراد تبريدة لان استخدام جهاز بحجم أقل من المطلوب يسبب تشغيل زائد واداء سئ للجهاز بينما اختيار حجم أكبر يؤدي الي مستويات رطوبة عالية وكفاءة اداء منخفضة . المواظبة الدورية علي صيانة جهاز التكييف بتنظيف فلتر الهواء بالاضافة الي التأكد من ان جميع الأجزاء المتحركة في جهاز التكييف تعمل بسسهولة وان حركة سريان هواء المكيف سهلة وتعمل بكفاءة عالية. The Number on the Scale is JUST A NUMBER.